Animation Courtyard is a small area holding two shows geared for children: Voyage of the Little Mermaid and Disney Junior - Live on Stage. 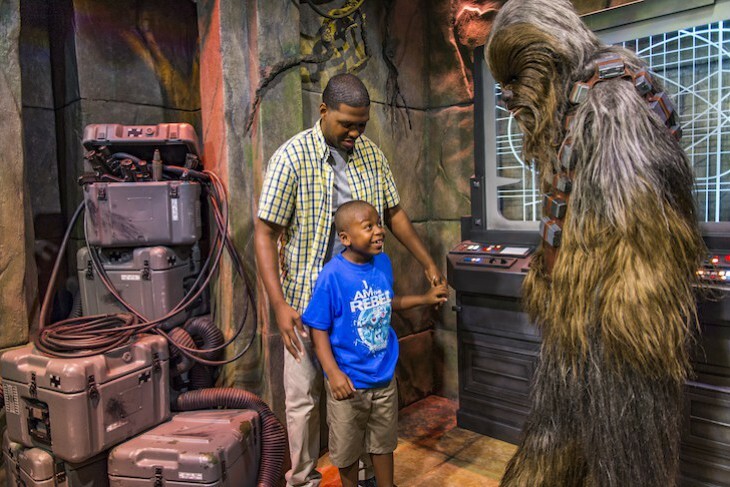 And while you are here make a stop at Star Wars Launch Bay to meet Chewbacca and Kylo Ren. 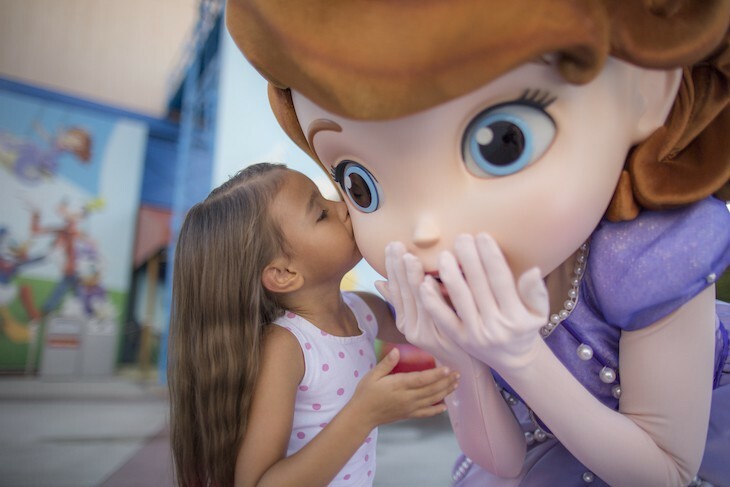 Kids will love seeing all their favorite Disney Junior characters live. Journey under the sea at one of Disney’s Hollywood Studios’ most beloved attractions. This tribute to the auburn-haired mermaid Ariel combines puppetry, live actors, animated film, and delightful music with the adorable sidekicks Flounder and Sebastian and the not-so-adorable sea witch Ursula. 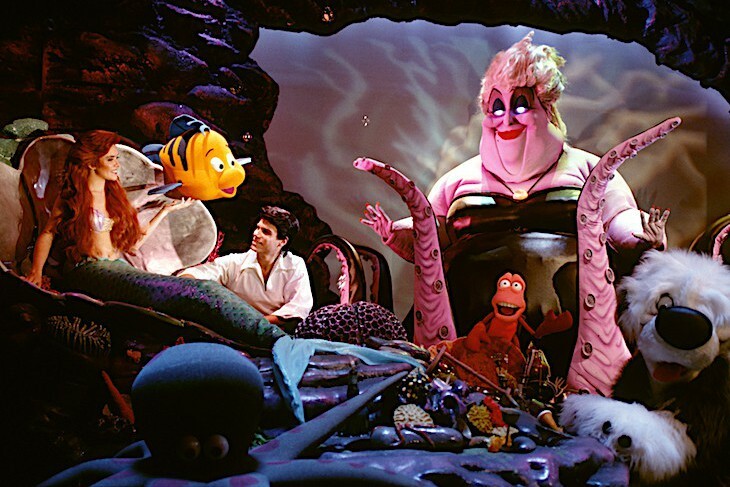 Favorite songs from the movie, such as “Under the Sea,” “Part of Your World,” and “Poor Unfortunate Souls,” along with great special effects including black lights, lasers, rain showers, bubbles, and lightning make this show quite a hit with children. Besides, how often do you have the opportunity to behold a seemingly live mermaid with a flopping tail? Cara's Tip: Don’t skip this wonderful attraction simply because you don’t have small children in tow. If you would like a center seat stand back a bit when the doors open into the theater from the pre-show holding room and allow about half the crowd to enter before you. Let Cara Goldsbury's personally trained Luxury Travel Advisor design your Disney Vacation Experience. Subscribe to the FREE newsletter and you'll receive a wealth of useful Disney information! Meet world traveler, Cara Goldsbury, a luxury travel and lifestyle blogger on a relentless quest to see the world in style. She has over 35 years of experience in the travel industry, and, in the course of her many travels within over 50 countries around the world, she has stayed at the most luxurious resorts, dined at the finest restaurants, and has been lavishly entertained. Luxury has been her brand for many years and her honest reviews and desire to share her experiences is what keeps readers returning to her writings over and over again for help in planning their next vacation.